Vassilis Spanoulis completed an Olympiacos Piraeus comeback from a double-digit deficit by hitting a three-pointer with 0.5 seconds left to down archrival Panathinaikos Athens 68-65 in a thrilling Top 16 finale for both teams on Thursday night. The win clinched third place in Group E for the Reds with an 8-6 record, while Panathinaikos settled for the fourth spot at 7-7. It was a game of runs in which Panathinaikos took control with a 2-16 spurt that bridged the first and second quarters, and behind 10 second quarter points from Loukas Mavrokefalidis took a 29-37 halftime lead. But Olympiacos rallied after the break with a 16-2 run of its own, as Evangelos Mantzaris sank a pair of triples, putting the hosts up 45-42. The visitors went back in front, and led 50-58 with less than five minutes to go, but Kosats Sloukas hit a pair of triples, and Spanoulis took over at the end, scoring 5 of his 9 points in the final 23 seconds to win it for Olympiacos. 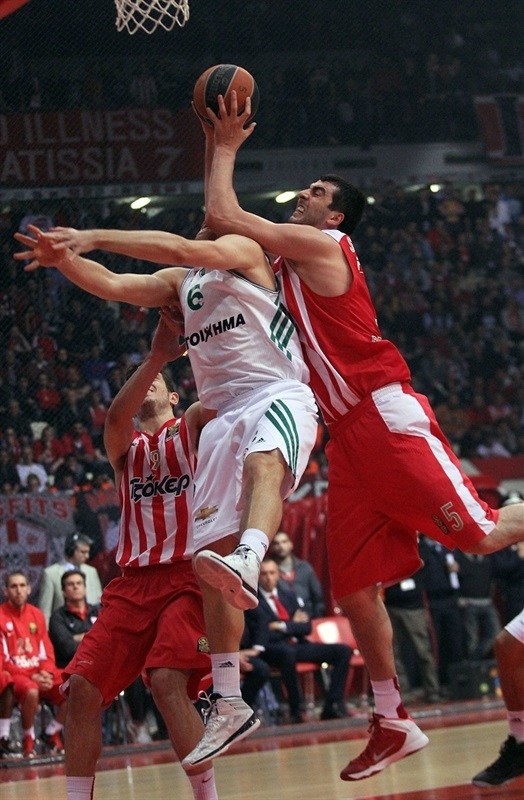 Sloukas had 12 points and 5 assists in victory. 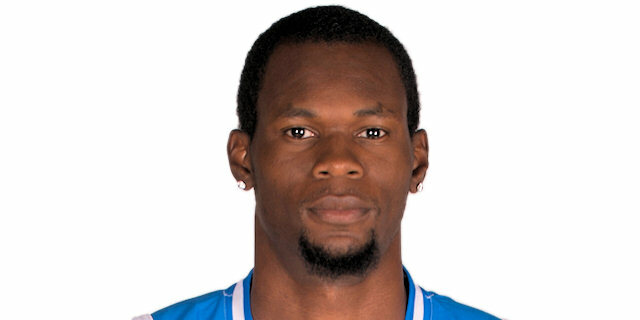 Bryant Dunston also scored 12, while Evangelos Mantzaris netted 11 with 9 rebounds and 5 assists. For Panathinaikos, Mavrokefalidis scored 17 on 7-of-7 for two point shooting, Ramel Curry scored 10 and Zach Wright had 8 points in defeat. After two and a half minutes, and nine possessions, Ioannis Papapetrou get the scoring going with a corner triple, and Mantzaris drove to the hoop, helping the hosts to a 6-0 start. 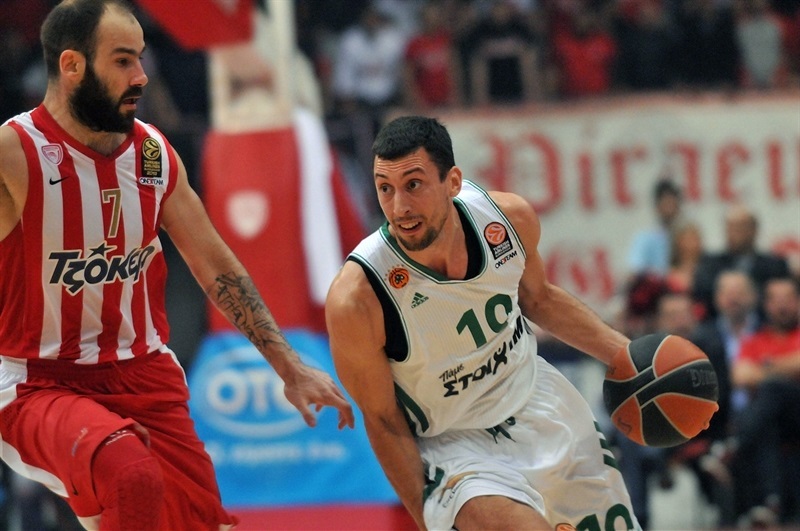 The Greens scored no baskets for more than four minutes to start the game, before Antonis Fotsis buried a triple. Papapetrou scored inside, and Spanoulis a long jumper to make it 10-3, but Panathinaikos countered with 10 unanswered points as Roko Ukic scored on both sides of a run that put the visitors in front. Ukic fueled things with a short jumper, and after a layup-plus foul from James Gist, Mike Batiste nailed back-to-back jumpers to make it 10-13. Dunston snapped a run with a dunk, but Ukic sank a last second triple for a 12-16 lead after 10 minutes. 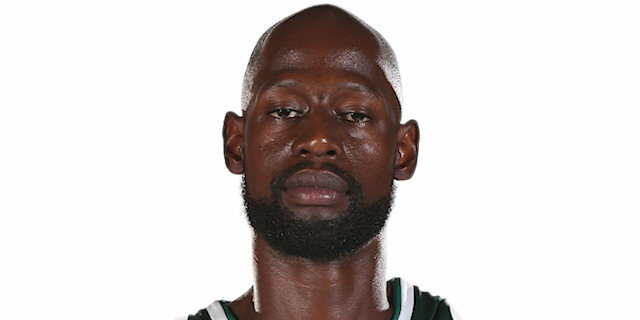 Mike Bramos opened the second quarter with a triple, and after Dunston and Wright traded layups, a monster jam from Brent Petway helped the hosts come within 17-21. But Mavrokefalidis hit a jumper, and Curry drove for a layup. Dunston slammed another one home, but Mavrokefalidis hit a nifty floater and Wright hit a mid-range jumper to make it 19-29 midway through the quarter. After a timeout, Matt Lojeski cut the deficit with a fastbreak dunk and a layup, and after Mavrokefalidis scored a basket in a crowd, Lojeski knocked down a three-pointer to get within 26-31. 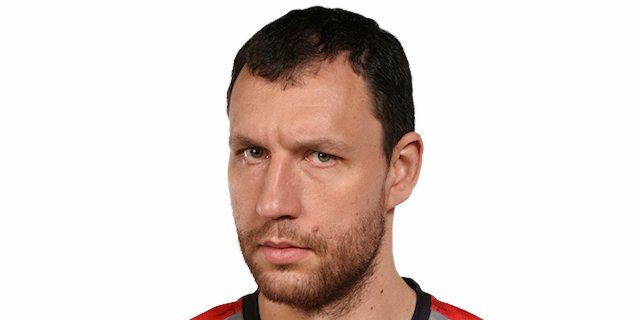 But Mavrokefalidis scored inside and then hit a long jumper. Fotsis added a layup to extending the margin to 11 points, but Stratos Perperoglou, also back from injury, beat the buzzer with a three-pointer to make it 29-37 at halftime. Similar to the first half, baskets were few and far between to start the second. After three scoreless minutes, Jonas Maciulis scored a pair of layups to make it 29-41. The Greens did not allow a single point for more than four minutes when Dunston split free throws, then fed Petway for a high-flying dunk. Now the hosts’ defense took over, while a triple from Mantzaris halved the deficit to 35-41. After a timeout, Sloukas nailed one from downtown, then Dunston scored inside and split foul shots for the Reds to regain the lead, 42-41. Mavrokefalidis snapped the visitors’ scoring drought, splitting free throws, and Mantzaris hit from deep to make it 45-42, but Curry nailed a long turnaround jumper, and Mavrokefalidis got a lucky roll on a baseline jumper as Panathinaikos held a 46-48 lead after three quarters. Curry hit a three-pointer to start the fourth quarter, and Gist made a basket-plus foul on a fastbreak for a 46-54 lead. Spanoulis drove for a layup, and so did Mantzaris, but Curry hit a step-back jumper and Wright raced for a fastbreak layup and a 50-58 cushion. Petway knocked down a three-pointer, and after Wright hit a jumper for the Greens, Sloukas nailed another three to bring the Reds within 56-60. Dimitris Diamantidis hit free throws, his only points of the game, to leave Panathinaikos some breathing room, but Sloukas nailed another one from long range to make it 59-62 with 2:32 to go, and his fourth triple tied it at 63-63 with 60 seconds remaining. Olympiacos made another defensive stop, and Spanoulis drove through the crowd for a 65-63 cushion with 23.1 left on the clock, but after a timeout, Mavrokefalidis made a big dunk. 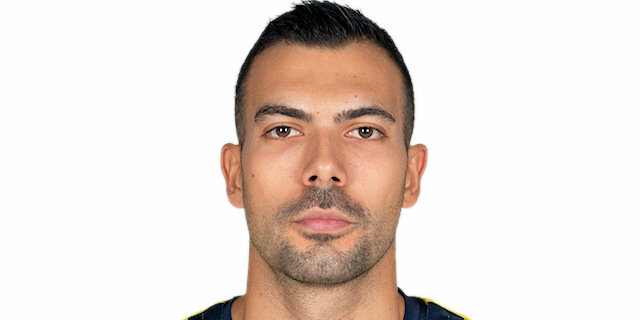 There were 4.7 seconds left in the fourth quarter when Olympiacos called a timeout, and the ball expectedly went into the hands of Spanoulis who pulled up a meter behind the three-point line to drain a game-winning triple. 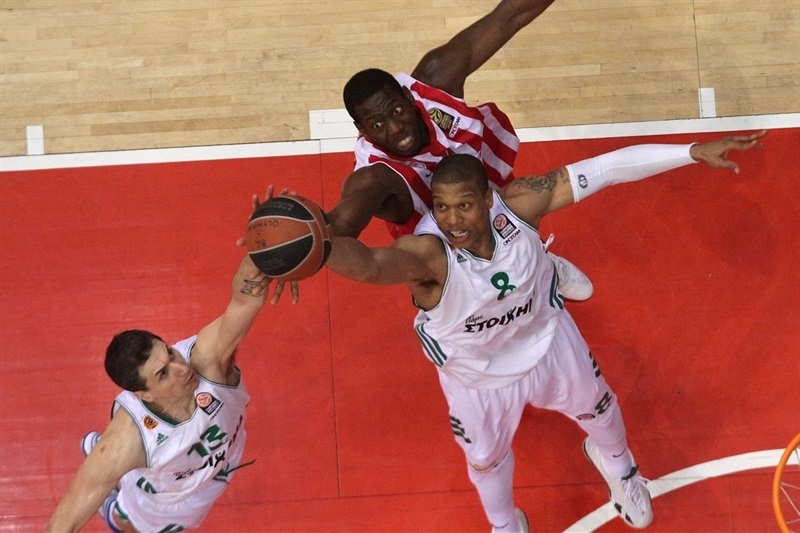 In the remaining time, Panathinaikos did not get a shot off and the hosts celebrated a thrilling victory. "It was a game without a big score, but with a lot of tactics and with players on both team showing their character. 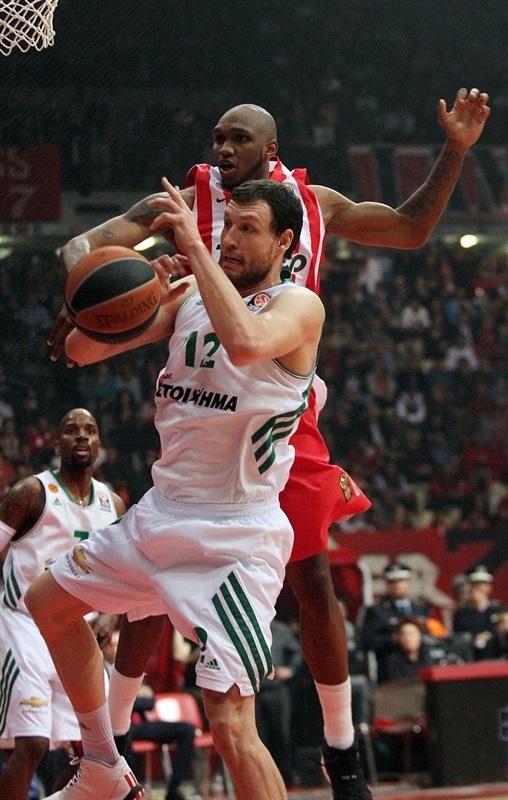 Panathinaikos did more than what we were expecting, especially thanks to Mavrokefalidis. For us it was like a must-win situation after we lost three games to them and our percentage in free throws proves the pressure we were under. We wanted something better tonight, but we don’t underestimate the victory. 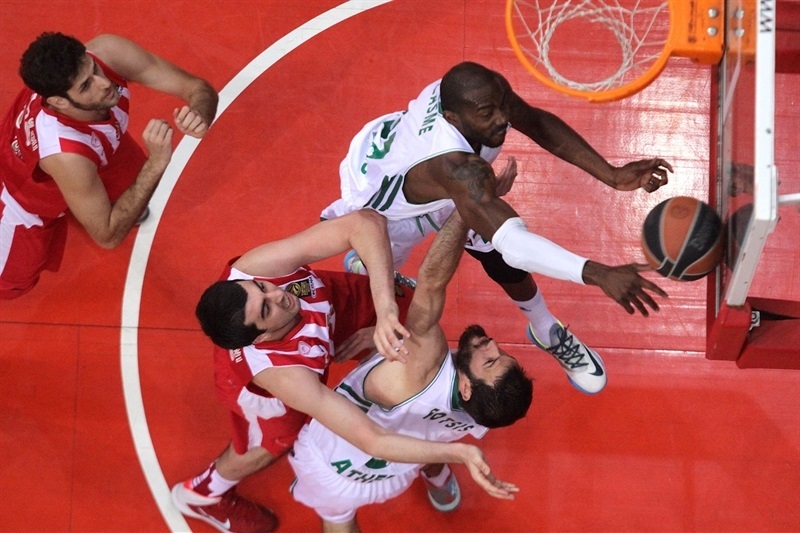 Spanoulis is a three-time Euroleague MVP and it is not fair to evaluate him after a bad game. 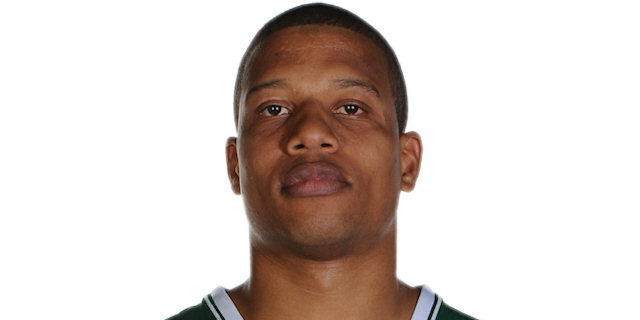 It is normal for him to feel an extra pressure in the games against Panathinaikos. 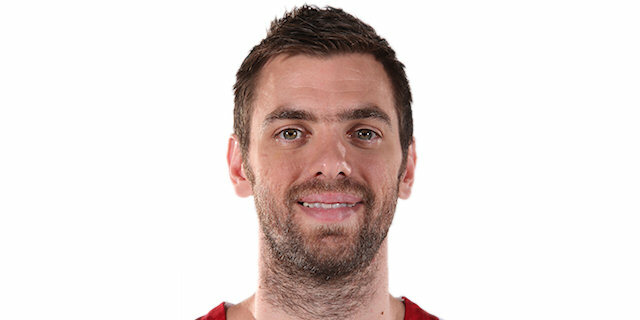 Spanoulis won the game in the last seconds thanks to his personality, but I would like to make a special comment on Mantzaris who did everything on the court. Sloukas also hit big shots and Papapeterou played a lot of minutes. It is very important to have Greek players on the stage." "We played poorly in the third quarter and made too many mistakes in the fourth. Now this story is over and we are looking forward. Everybody in the team has to work harder. We lost, but I am satisfied with the guys because they gave a big fight and tried to get the win until the very last moment. Lasme had an injury problem and Mavrokefalidis got more time. He knows very well to do several things and he did them. 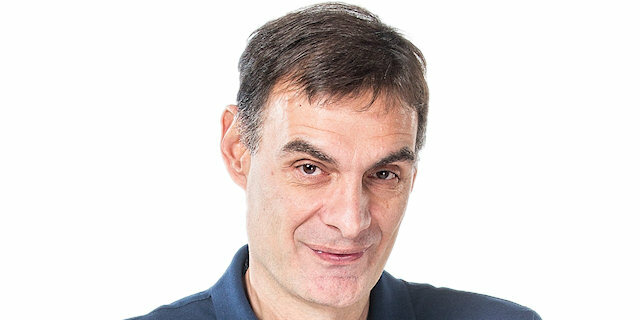 In the Euroleague the behavior of the fans and the atmosphere are better than in the Greek competitions, so this might be our guide." "I think we are in the bright side of the moon, in a good shape and we get the proper psychology. We keep trying and I want to thank our fans for their help. Spanoulis is the leader of the team, the best player in Europe and he needs our support. When the situation is tough, the tough guys take the control. We had a pressure to win tonight and get the third place. Now we are going to the Play Offs, where we must play with energy, passion and intensity." "Against Panathinaikos it is always hard. They made a big run, but we came back in the game and beat them, which is a great result. Motivation was high tonight for both teams, especially for us because we lost the previous three games to them and we wanted revenge. We finished the Top 16 with a win and now we have to get prepared to give our best in the playoffs, probably against CSKA Moscow." "After the three consecutive losses we had suffered to Panathinaikos, it was the right time to beat them, but before that we had to beat ourselves. Although we trailed down the stretch and Panathinaikos had a 12-point lead, we proved once again that we have and the character to come back. 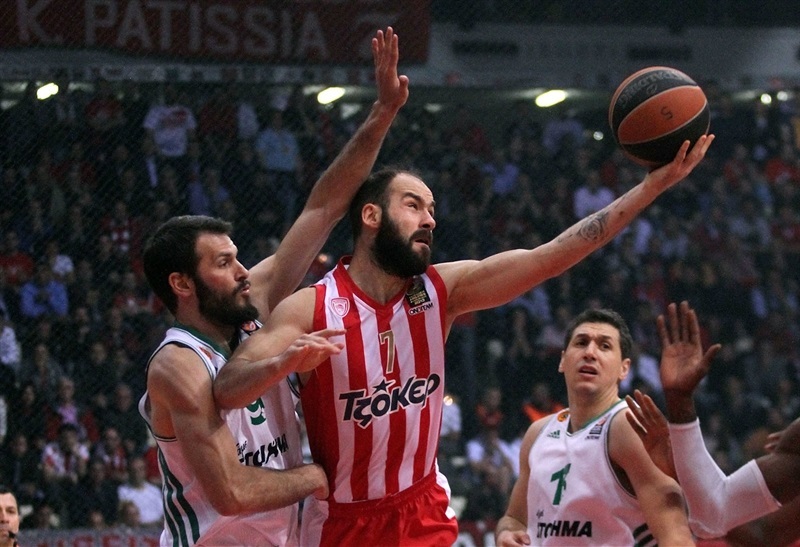 Big shots decided the winner, especially the three-pointer by Spanoulis at the buzzer. I think that this win can help us a lot to get the psychology needed to be competitive in the playoffs. We are proud because we have the opportunity to defend our two consecutive Euroleague trophies and we will do our best to go to the Final Four." 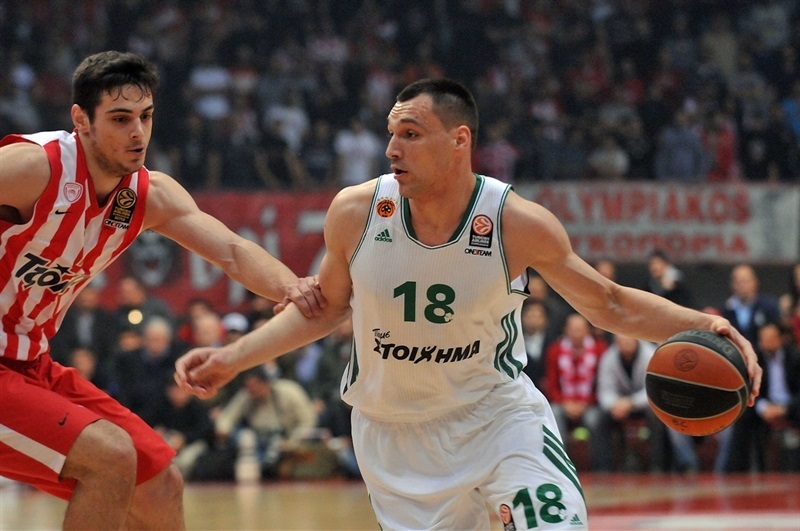 "Olympiacos is a great team and tonight Spanoulis became the factor in the game. Both team fought for 40 minutes and there is big respect of the one for the other. We made crucial mistakes in the last minutes and Olympiacos got a fair win. No matter if we will play Real Madrid or CSKA Moscow we need to read well our opponents and fight. Whoever is considered the favorite has to prove it on the court." "To win here you cannot afford mistakes and our 7 turnovers in the last quarter are too much. We had chances to win, but it didn’t work. Now we have to keep working and look forward. We will probably face Real Madrid and it is going to be very tough, but we will try to match them the best possible way and we’ll see what happens." "It was an amazing game between two great teams and I am sure that the fans enjoyed it. We controlled the situation for most of the time, but unfortunately we lacked concentration in the fourth quarter and committed 7 turnovers. However that game belongs to the past and now we have to think of our opponent in the playoffs. Personally I needed such a performance in order to improve my psychology and give more help to the team."